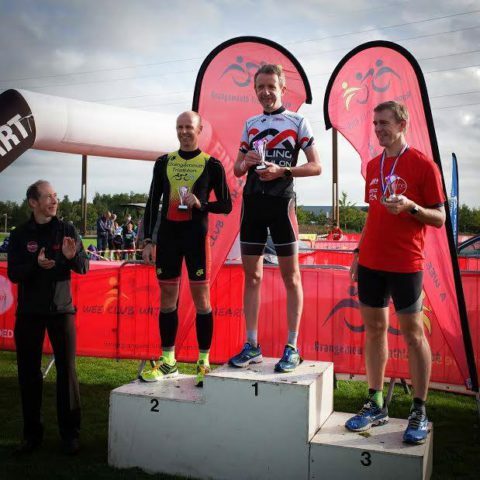 This month we interview TDC athlete Steven Honeyman. Based in central Scotland, Steven describes how is accessibility to the lochs, forests, and mountains inspires his training and his love for the outdoors. This makes him a great TDC athlete to motivate other members of our team. We hope you enjoy the read and would like to congratulate Steven for his fantastic performances so far. May we ask how old you are Steven & where you are located in the UK? So, I’m currently 40 years old, and I stay in a large town called Falkirk in the Central Belt of Scotland. It’s excellent from a training perspective as it is within 5 minutes from my house. I can easily be cycling or running through the comparative peace and quiet of the Scottish countryside. Aside from triathlon do you have any other loves which help you to look after your body and mind? During the summer I enjoy hillwalking, and in the winter, I can be found strapping on my ski’s and hitting the ski centres of Scotland, as well as venturing further afield to the Alps, Dolomites and Pyrenees. Away from sports, my other big love is music. I play several instruments, namely the piano, guitar and bass guitar. I also really enjoy cooking, which is extremely handy as I eat like an absolute horse! As a true lover of life & the outdoors, is there anything you don’t enjoy as much? I’m really not a fan of football. I get extremely annoyed at the absolute stranglehold it has over sports reporting and coverage in the UK, as well as the grip it seems to have on the nations sporting psyche, which is unfortunately at the expense and detriment of numerous other sports. Moving on from your dislike for the ‘beautiful game’. When did you start the real beauty that is triathlon & why? My first triathlon was in September 2011, a sprint distance event in the town of Eyemouth. I was a cyclist of 20 years’ experience. I’d never done any running whatsoever. 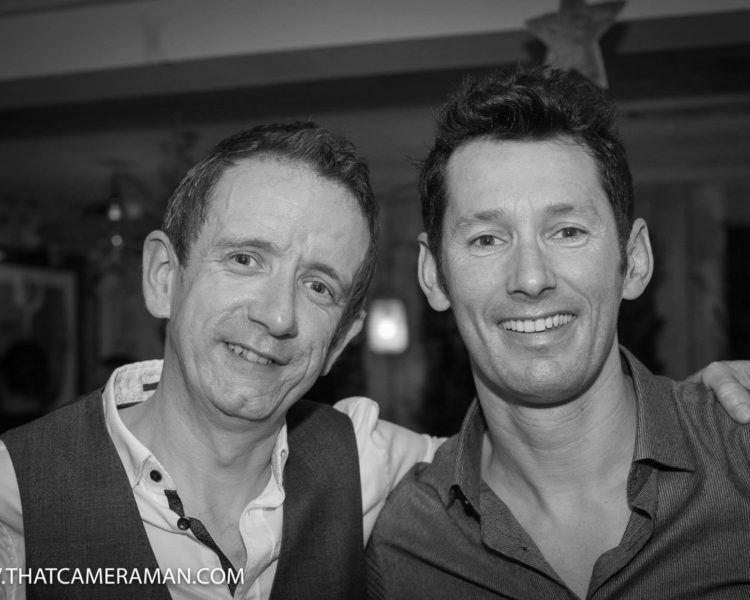 My cousin Ross was a runner of 20 years, but had never really done any cycling, so I was surprised to get a phone call from him one day telling me he had entered a triathlon 3 months down the line, and asking if I wanted to join him. 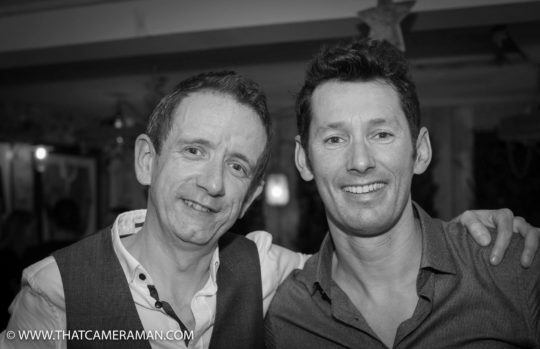 I informed him I’d happily help him in his training from a cycling perspective, but laughed in his face at the thought of me doing a triathlon, and that he was on his own! Two days later I get a text from my friend Nicola (who didn’t know Ross at that time), informing me herself and a friend had signed up for a triathlon, and asking if I wanted to join them. It only turned out to be the same event, so it seemed that much of a coincidence that I had to say yes! I thoroughly enjoyed the whole experience and finished in a decent 43rd position out of 100. Which individuals inspired you in the sport to give it a go? Since signing up for my first event, I’ve been inspired by several individuals and their stories. 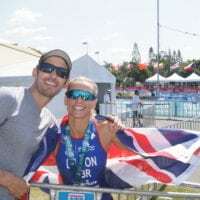 The main inspiration I’d say would be Chrissie Wellington, it was reading her story which gave me the belief and confidence to sign up for a half-Ironman which eventually led to a full Ironman the following year. Which triathlons have you competed in so far? Over the 6 years of participating in triathlon I’ve raced in loads of events, but many of them have been smaller, more ‘local’ races. The larger and more well-known races have been Exmoor 70.3 (2013), Staffordshire 70.3 (2016) and Ironman UK (2014, 15, 16 & 17). 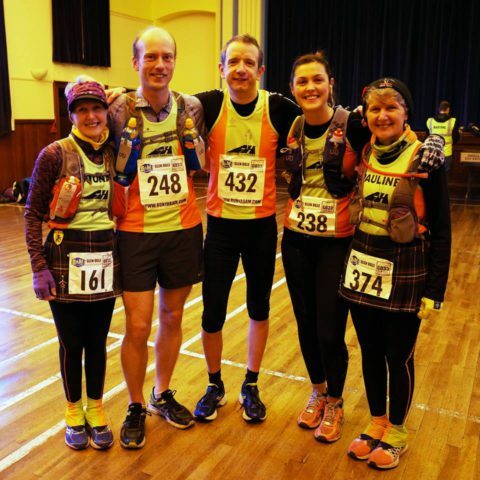 I’ve also been lucky enough to take part in some amazing smaller events around Scotland, the most memorable being the Applecross, Knockhill, Balbirnie and Glen Affric duathlons, as well as the ‘Borders Series’ of triathlons in the Border towns of Peebles, Galashiels, Kelso, Hawick and Eyemouth. Which has been your most memorable and why? For myself, there’s two races which really stick in my memory. The first of these is without doubt my first attempt at Ironman distance, at Ironman UK (Bolton) in 2014. To be brutally honest, I had absolutely loads of pressure on me going into this event. For a start, I couldn’t even begin to imagine I was going to attempt an Ironman. The half-Ironman had given me a certain level of confidence, but I still felt way out of my depth. To make matters worse, the previous year I’d lost my mum to lung cancer, then not long after signing up to Bolton, we found out that my dad had terminal brain cancer. This understandably had a large impact on my training, but I also used it as an opportunity to raise money for several cancer charities. However, the result was I also had over £5000 of charity donations resting on my performance!! So with all that in mind, the moment I crossed the finish line is up there as one of the most amazing moments of my life. It was also then made bitter-sweet by the fact that my dad (who’s condition had been deteriorating rapidly in the preceding few months) passed away the following morning. He was always a massive fan of my sporting endeavours, so as emotional as it was, it was nice to know that he managed to hold on to make sure I finished!! What are your main aims for 2018? 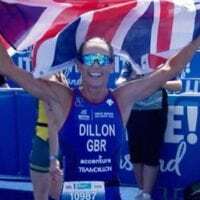 My two big races for 2018 will be Ironman UK in July, and Ironman Barcelona in October. This will be my 5th time of racing Bolton, and with a pb of 12:17:34 I’d like to knock a decent chunk off that. Other than those two events, there’s quite a few duathlons in which I’ve previously achieved decent positions which I’d like to go back and repeat, possibly looking at achieving podium positions or a V40 win. 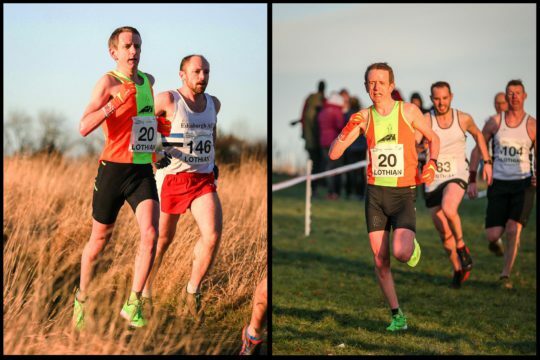 But to be honest, my main aim is just to continue to enjoy training and racing, and to keep using this love of multisports as a means to hold off the inevitable signs of ageing!! What does your winter block of training hold? Well that’s a question you’d need to ask Stuart!!! But he’s dropped a few hints! With the focus being my two Ironman events, I’m sure there’s going to be a fair bit of endurance work in there, with at least one long cycle and run per week, increasing in distance as we approach spring/summer. I’ve put my trust entirely in Stuart, so it will be interesting to see what he has in store for me. One of the best parts of training with TDC is that, although I have a rough idea of what the following week will have in store with regards basic structure, I never really know the specifics of the actual sessions will be until I get the schedule through on Friday or Saturday. It’s always a good feeling getting the e-mail through, grabbing a cup of coffee, then having a read through to see what sort of torture I have lined up for the following week. It really keeps things fresh, and is brilliant to have that element of surprise whilst still knowing that your training is following a progressive, structured and intelligent route towards your specific goals. Why did you choose TDC? 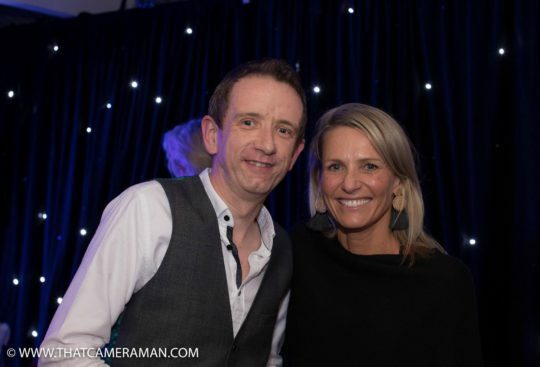 I was aware of both Stuart and Michelle through their previous achievements, and I’d also been following Emma’s career since seeing her racing at Strathclyde Park in 2012. I was impressed with how she’d grown in confidence over the years, and had completely put to bed any insecurities with regards the swim and cycle. 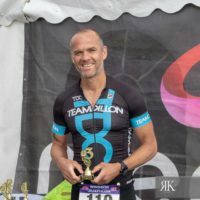 I was then lucky enough to be spectating at Edinburgh 70.3 this year when Emma took the victory, and I thought any coach that can turn a (albeit exceptional) standalone runner into a 70.3 champion has to be worth a look. At first I was flexible with regards the specific coach, and decided to go with Michelle’s recommendation of Stuart. Definitely a good choice, we immediately clicked and our phone calls now resemble a casual chat between friends rather than anything more formal, which is nice. It’s been great to see that my initial thoughts on TDC have turned out to be true, and I’ve still managed to maintain the balance in my life despite the fact my training and performance have increased considerably. How has working with Stuart Hayes helped you to understand what you need to improve? A big improvement has been to bring a progressive and intelligent structure to my cycling. I always had this to some degree with my running (through being in a running club), but my cycling was very much a ‘go out when I feel like it’ situation. By implementing structured Wattbike sessions into my training, it’s added a quantifiable element to my cycling and it’s been great to see a measured improvement in my power output over the last few months. This has brought a whole new angle to my cycling, and has reignited my interest in a sport that I’d previously become slightly bored with. For those thinking of giving triathlon a go in 2018, how would you encourage them to give it a go? Well in a nutshell, taking up triathlon has been by far the best decision I’ve ever made in my entire life!!! 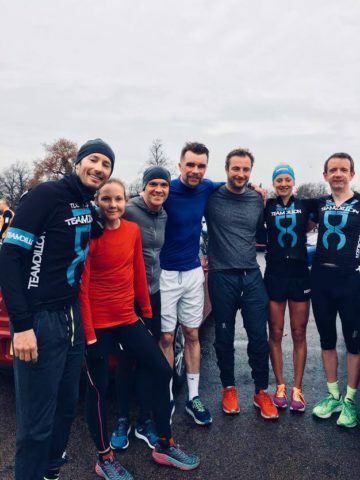 Since my first race in 2011, I’ve joined both a triathlon and running club, through which I’ve made some amazing friends, and it’s also brought me back in contact with family members with whom I was potentially drifting away from. Never underestimate what the body is capable of, just as long as you take things on a consistent and gradual basis. I feel that nowadays too many people expect results overnight, but unfortunately the body doesn’t work like that. Fitness takes time, and the results can take months to come through. But when they do, it’s an unbelievable feeling to eventually see everything come together. It has been our absolute pleasure to work with Steven and we are very much looking forward to his progress this year. On behalf of TDC we wish to thank Steven yet again and look forward to following all his results and fantastic feedback.